Provisional dates for this festival are Saturday 2nd and Sunday 3rd October. 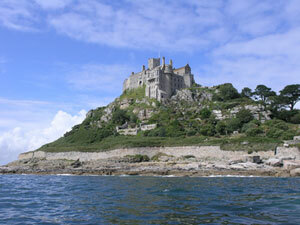 Go along and enjoy good produce for which Cornwall is renowned. See cookery demonstrations by chefs from noted local establishments. Craftspeople will also be displaying their creations at the festival. Gardeners and all who love gardens should note that some gardens will be open to the public as part of the festival. The celtic faeries invite other like minded folk to join them in celebrating midsummer soltice. Celebrations will include a special Solstice morning ceremony. This is a unique event featuring music and lots of magical sounding entertainment and workshops: fairy school - make your own fairy wand, stories of Tree Dryads, a performance of play Midsummr Nights Dream. There will also be artists trading areas. Celebrations will take place in Colliford Lake Park, Bolventor, Nr Liskear. Dates for your diary: Friday 18 June, Saturday 19 June, Sunday 20 June and the solstice morning ceremony on 21 June. This is the 23rd year that Bude hosts a jazz festival. As always it will be a big festival with 166 events booked to take place. There will even be two street events to get you feeling that New Orleans has come to Bude. The dates for your diary are Saturday 28 August to Saturday 4 September . The festival on Thursday 14 to Sunday 17 Octobermarks the start of the dredging season. Attractions will include a master class cookery class run by a master chef plus seafood, wine and real ale demonstration. There will be a crafts fair and plenty of Cornish food to enjoy. The Phoenix Falmouth's state of the art cinema is the venture between Friday 5 and Sunday 7 November for the annual Cornwall Film Festival. All you film buffs will not want to miss this celebration of Cornish and International filmmaking. A must for fans of Daphne Du Murier . As befitted a festival named after the writer of such Cornwall based gems as Rebecca, Frenchman’s Creek and Jamaica Inn the festival is a feast of literature, art and music, some free, some paid for but definitely worth attending. Du Murier fan or not put the dates of Wednesday 12 to Friday 21 May in your diary. Includes the infamous Fowey Regatta an event that has been taking place since Queen Victoria days. Come watch the beautiful yachts take part in passage races to and from Falmouth. Lots of fun entertainment is planned including competitions for children, the now customary Red Arrows flypast, CostumeFlora Dance, Crab catching competition, firework displays, Giant Pasty ceremony and much, much more. If you love boats, sea air and want to have a lot of fun then the dates are Sunday 15 August to Saturday 21 August. This is Looes sixth Festival by the Sea and an opportunity for visitors and residents to get to know more about Looes local history, culture and traditions. It is by sea so there will be fishing boats and sailing boats to admire but look out for the pirates and the glass bottom boats. Plenty of entertainment for the whole family including, music, dancing and a chance to sample good local produce plus much more. Dates are: Saturday 10 July and Sunday 11 July. Sea, Salts and Sail Festival. This is a maritime festival where you can watch traditional sailing boats moored at Mousehole's 13th century quay. The next festival is billed for Friday 9, Saturday 10 and Sunday 11 July. Will include plenty of activities: take one of the organised walks and learn about Mousehole's history or watch the various displays which will include crab pot making, pottery making. The one not to miss must be Cornish wrestling. Don't forget to sample the local fish dishes. Thursday 23 December will be Tom Bawcock’s Eve. Mousehole holds a festival in memory of their resident Tom Bawcock who saved the village from famine by going fishing in a storm. The Ship Inn serves Stargazy pie which is basically a pie made of fish, egg and potatoes with fish heads pocking out. There is also a lantern procession. Fishing and Cornwall have for centuries gone together like a horse and carriage. Cornwall’s largest fishing port hosts The Newlyn Fish Festival presenting its fishing heritage for all to enjoy and experience. Go aboard one of the fishing and other vessels in the harbour or enjoy the many and varied stalls selling and displaying locally caught fish and other items connected with the sea. The whole family will enjoy this event held each year. Next Festival: Monday 30 August . Bring some excitement into your winter by heading along to Penzance for the celebration of the winter solstice. With a mask and costume of a Guise dancer you can blend with the crowd at the Motol Festival. Just take care who you chat up, that good looking lass could Motol Festival style be a fella in disguise! Be sure to visit the market which is part of the festival where you can purchase food, drink and locally produced gifts created by local craftfolk. There is also entertainment at the market to keep you in the festival mood. Dates for this year are: Tuesday 14 to Tuesday 21 December. Lowender Peran. An annual celebration of traditional Cornish music through dance, songs and story telling. A most for those interested in Cornwall's rich heritage. Dates for your diary: Wednesday 13 to Sunday 17 October. Each year the community of Polperro organise a festival of events. Lots of music, dancing, arts and crafts and other fun entertainment. Next festival: Saturday 19 to Sunday 27 June . Entertainment for the whole family. Come and meet famous TV Chef Antony Worral Thompson who together with local chefs will be giving cookery demonstrations. Lots of good fresh products produced in neighbouring areas of Cornwall to sample. Don't miss the crafts market. Try your luck in the prize draw. The longest running arts festival is held in St Ives each September. A variety of art, music and poetry events to suit all tastes take place. In addition artists open their private studios to visitors. Next Festival: Saturday 11 to Saturday 25 September. This is an ancient festival which marks the founding of the town by the saint St La. Next festival takes place Tuesday 23 March and includes a civic procession to the Well of St La. Music on the Mount is held each summer. There is always a wide range of music played by locals, displays by dance troupes plus entertainment for the children and arts and crafts stalls. Go for the day and also visit the medieval castle. A yearly folk festival that is a must for all folk music fans. There will be indoor and outdoor events at various locations around Wadebridge throughout the four days of the festival. This year there will be music from Cornwall, Devon, Ireland, Turkey, Brittany and France performed by an impressive list of folk stars. Includes well known names such as Martin Carthy and Dave Swarbrick. A children's festival is also planned and will include an appearance by Punch and Judy man Professor James Gordon. Other entertainment will include a performance by Max Fire of what promises to be an impressive display of fire juggling. This is Looes sixth festival and an opportunity for visitors and residents to get to know more about Looes local history, culture and traditions. It is by sea so there will be fishing boats and sailing boats to admire but look out for the pirates and the glass bottom boats.